Spring is a beautiful time of the year in Chicago. The birds are chirping, the weather starts warming up and the green grows back on the trees. You can show off your love of the season with some fun decor. Whether you’re celebrating a holiday or want to add a little color to your home, there are many directions you can take. Since doors are one of our specialties, we’ll show you some cool spring door decorations that’ll give your entryway a festive look. When you think of wreaths, winter or Christmas might come to mind. However, did you know it’s common to hang one year round? It’s true – wreaths are a great way to decorate your door no matter the season. You can find them almost anywhere and they aren’t very expensive. This spring, add a wreath to your entryway. If you’re feeling crafty and creative, you can make your own spring wreath. It isn’t very difficult and won’t take a long time to complete. There are only a handful of tools you’ll need as well. Making your own wreath will impress your friends and family. If you want to make your own spring time wreath, check out our video – it provides a short step by step tutorial. Spring in Chicago is the time of the year when flowers and plants begin to bloom. Why not hang them on your entry door? They can add a beautiful touch of color. There are hooks and baskets specifically made to hang on doors. Daisies, tulips, lilies and many other spring flowers will look great hanging from your entry door. Many homeowners like to stick with traditional spring colors with their flowers. Pink, yellow, white and baby blue are all popular options. Be careful, as you don’t want your flowers to be too colorful. 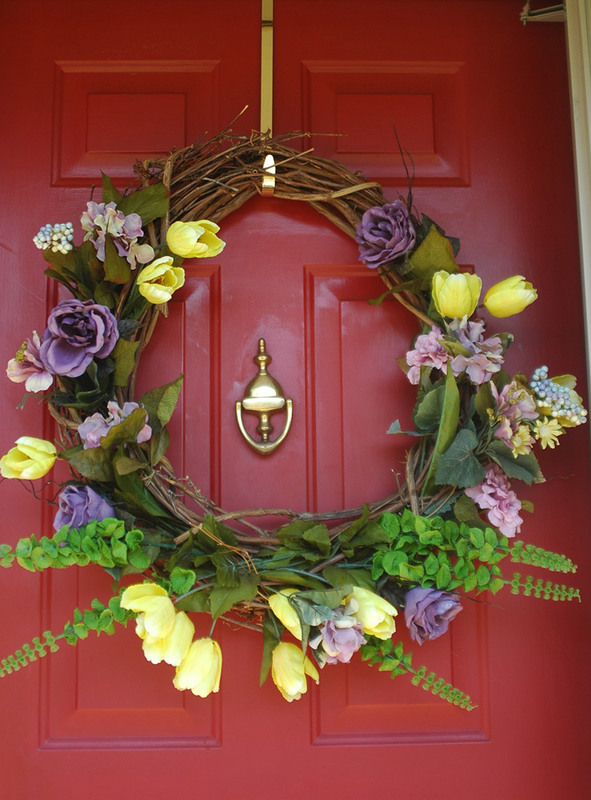 You want your spring door decorations to be eye catching not an eye sore. One way many homeowners decorate is based on holidays. There are a few holidays in spring that you may celebrate. Here are a few you can look forward to between late March and mid June. The Christian holiday Easter falls on the first full moon of the vernal equinox. That means it’s a different Sunday every year but it always falls in the spring. There are many Easter decorations you could display. Whether it’s bunnies, eggs or baskets of flowers, there is no shortage of ideas. Many people make their own Easter wreaths or hanging decorations. Get creative and have fun. Unlike Easter, Ramadan can be any time of the year. It’s the first month of the Islamic calendar which is based off of a lunar calendar. That means there are 11-12 days less than a traditional calendar. This year, Ramadan starts on June 8th and will remain in the spring months for the next few years so it’s definitely worth mentioning. 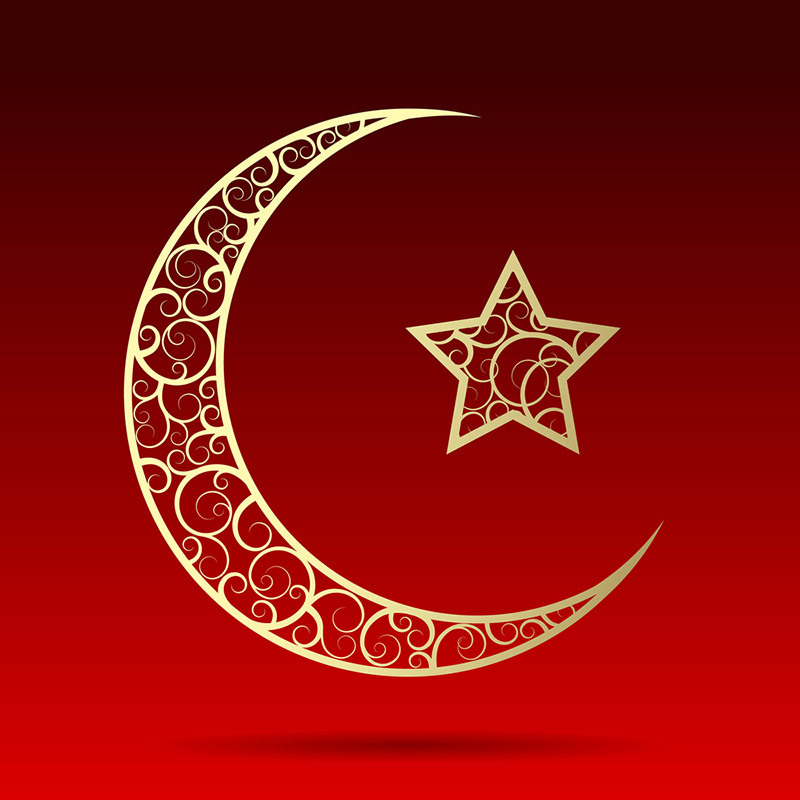 The most common symbols displayed during Ramadan are moons and stars. You can find many different door hanging decorations online. Lanterns are another decoration offered that are associated with Ramadan but, if you light them with fire, they can be dangerous near your door. If you want to display lanterns, get a pole and put it just outside your front porch. It can add to your entryway without putting your home in danger. You know Cinco De Mayo won’t switch dates – it’s always the 5th of May. It celebrates the Mexican army’s defeat of French forces at the Battle of Puebla. There are a few decorations you can display on your door. 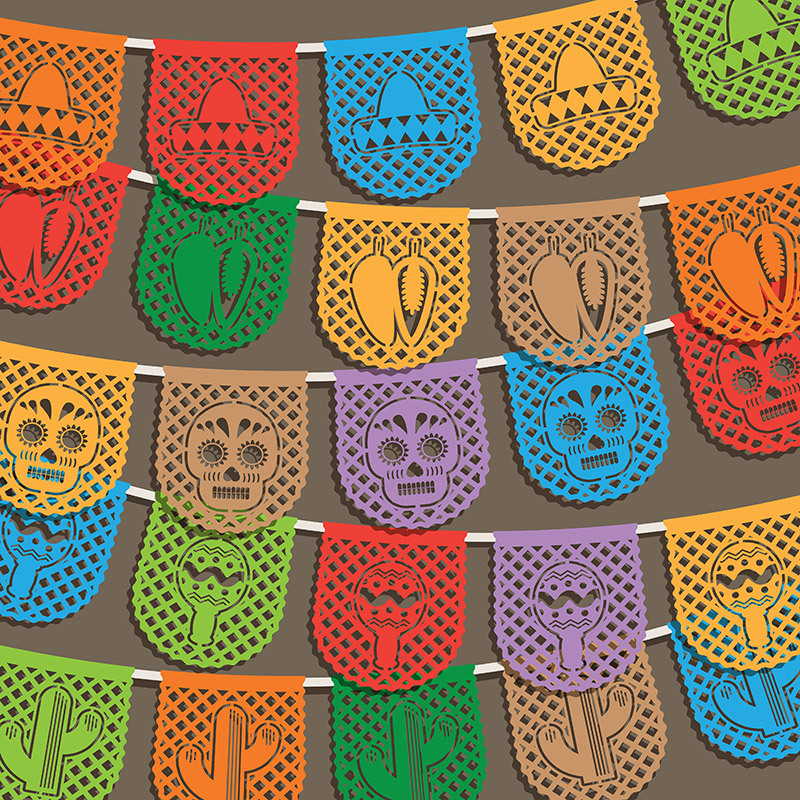 Mexican flags and Mini Paper Picado Banners are common decorations that can be hung on your door. 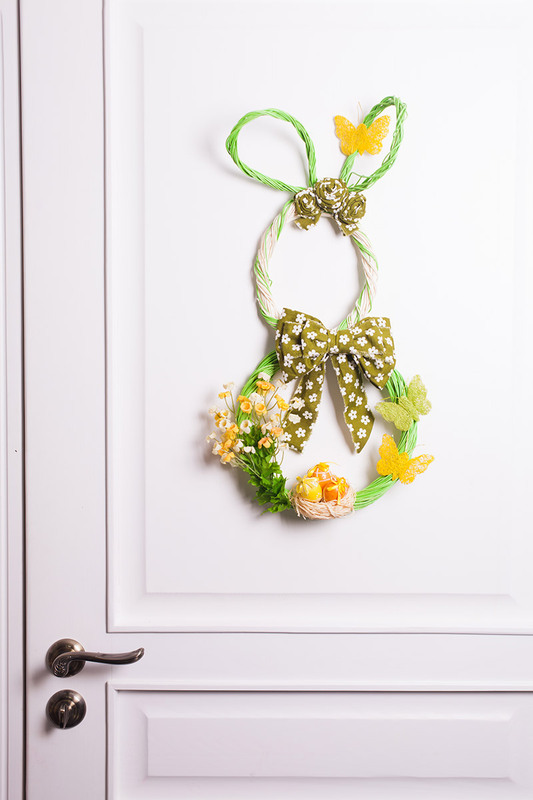 Making your own decorations is a fun way to dress up your entry door this spring. Creating your own wreath was already mentioned but there’s more you can do. There are many DIY projects on websites like Etsy that’re sure to spark your creativity. Also, if you have children, they make crafts in school all of the time. Perhaps something they worked on could be displayed on your door this spring. That’ll make them so happy! Wood signs are small and simple decorations that can be a fun little addition to your home. 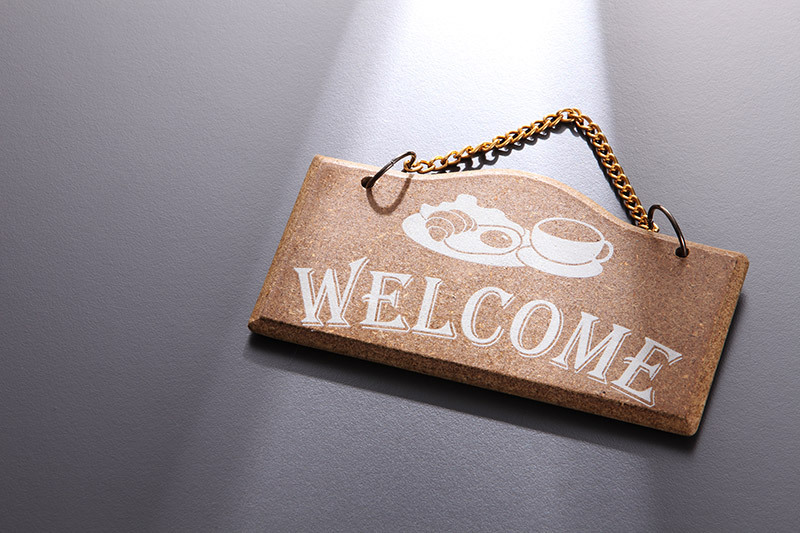 Putting a sign on your door is a fun way to welcome friends, ring in a holiday or show a little bit of your personality. It’s something small you can do to add a personal touch to your entry door. While this article is about spring door decorations, they don’t have to be hanging on the door. There are many decorations that complement your door by being around it. 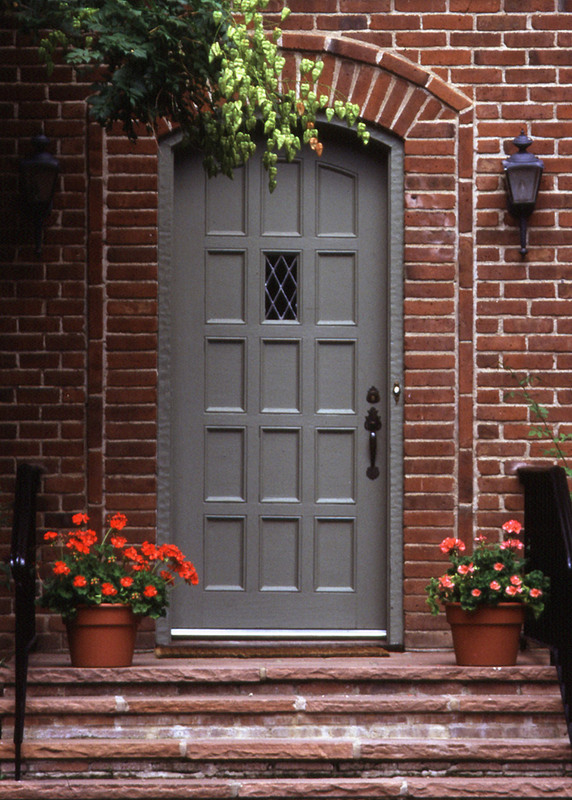 We have a few examples for different ways you complement your door this spring. You can’t have an entry door without a doormat. There are specific doormats for every season, holiday and occasion. Also they’re sold at a variety of stores. 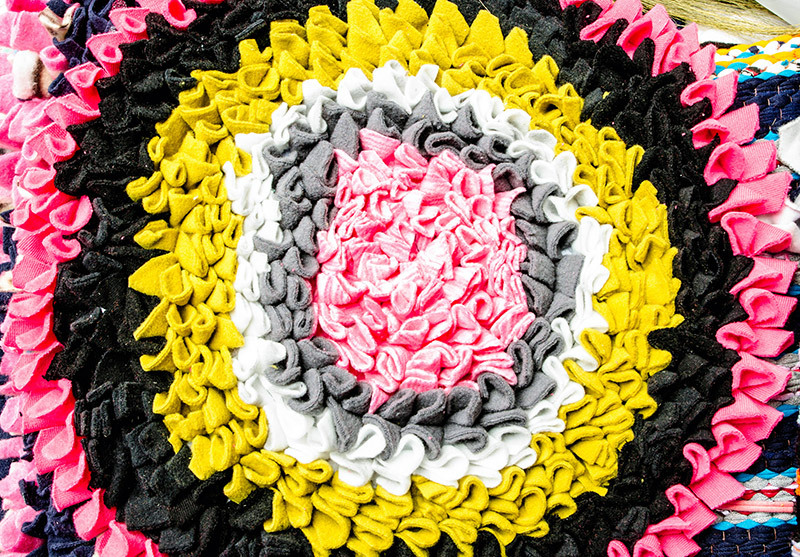 Get a spring doormat that you like – it can be Easter, flowers or just about anything else. If you somehow can’t find a doormat that you like, you can always make your own. There are all sorts of different DIY doormats that you can find online. The sky is the limit. Anything you imagine can become your spring doormat. You already know that you can hang a potted plant from your door, but maybe that isn’t something you want to do. You can always add larger potted plants and flowers to the sides of your front door. It will help make your home look lively. Whether it’s for a holiday, a nationality, a sports team or the United States, you can hang a flag at the side of your door. It allows you to display your pride for your country, favorite team or belief. Different flags are sold at a variety of stores but everything can be found on Amazon or another online retailer. 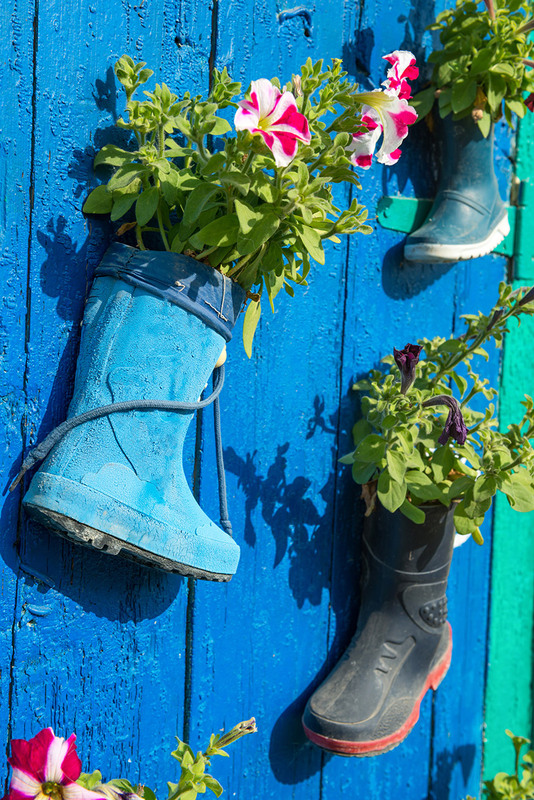 Take your entry way to the next level with some spring door decorations. It’s a fun and festive way to ring in the new season. Whether you’re celebrating a holiday or are excited for Chicago’s warmer weather, you have plenty of options to decorate your front door.